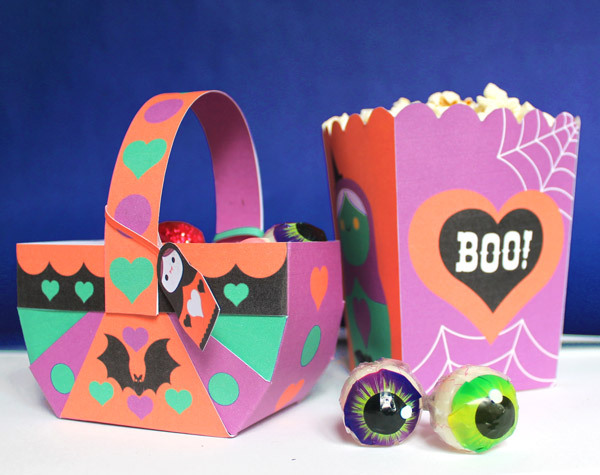 Spooky Halloween papercraft pack: Easy Halloween party printables! 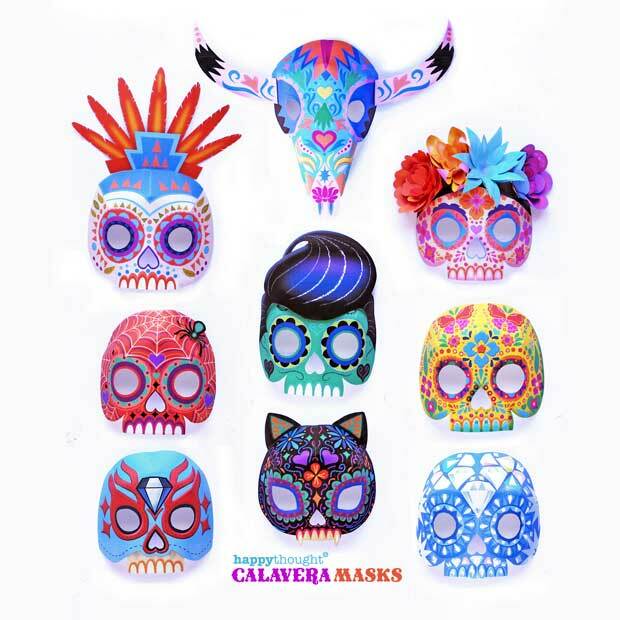 Spooky Halloween party ideas, templates, favors and decorations! 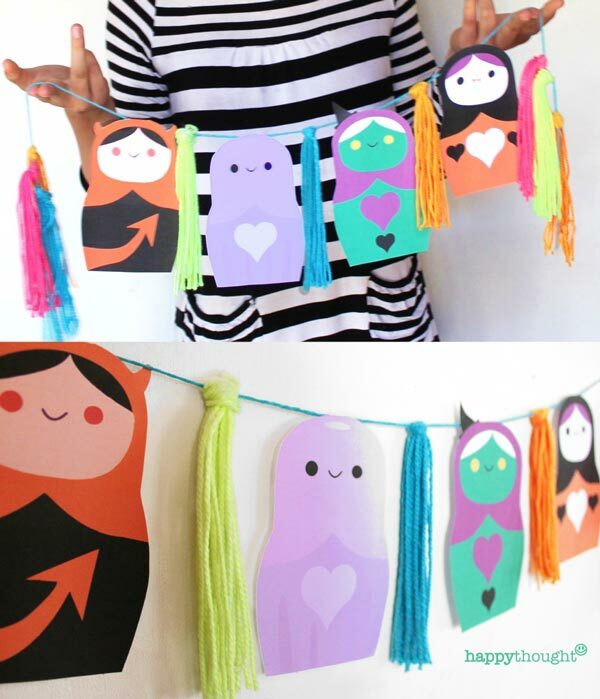 Halloween Russian doll party ideas: Fun and cute decorations for everyone at your Halloween fiesta! 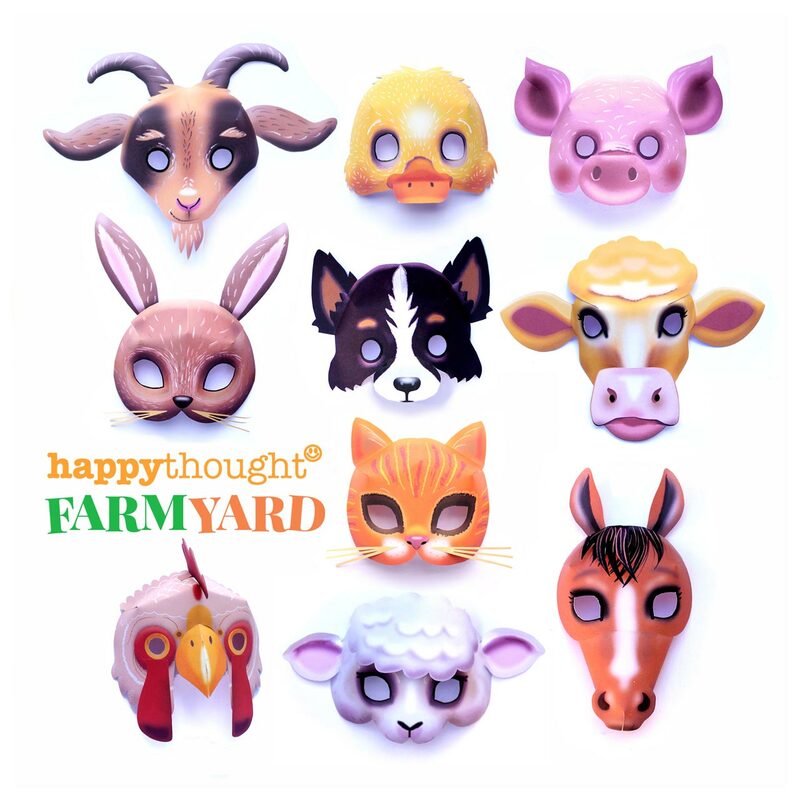 For this Halloween party printables papercraft we were inspired by a classic Russian Doll Matryoshka set our neighbour showed us. 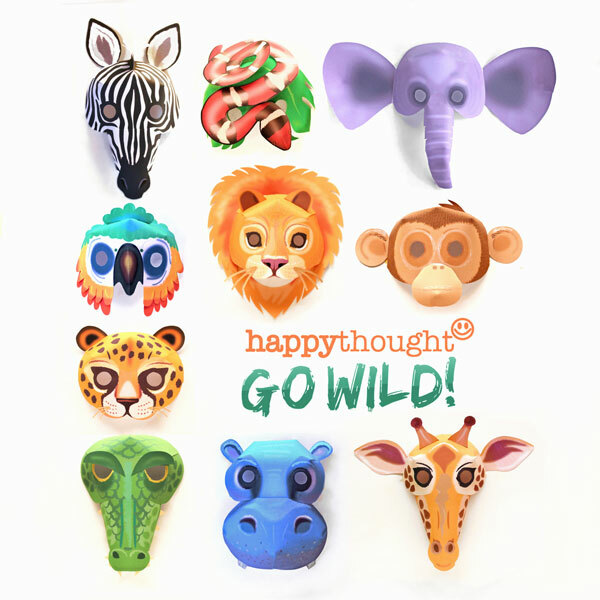 After developing our initial designs, we narrowed down a few ideas. We have only selected the best decorations and party favours for this beautifully crafted Halloween Matryoshka doll papercraft party pack. All you need for a successful Halloween party celebration. 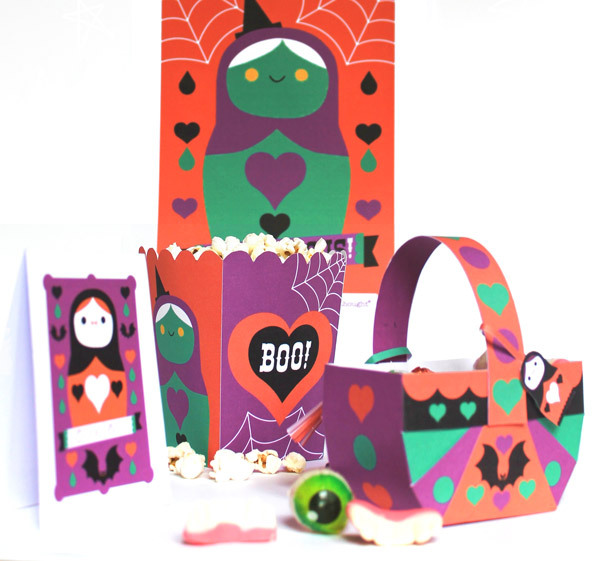 Spooky Halloween papercraft party pack! 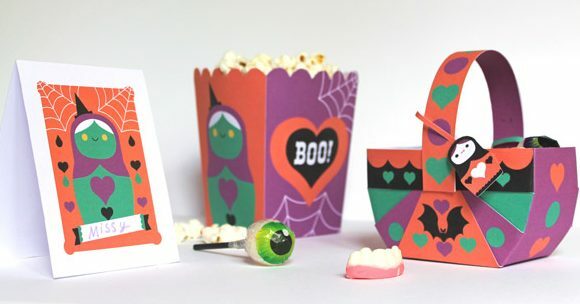 Spooky Halloween papercraft pack featuring these great templates. Cupcake wrappers and toppers. Posters, invites, and garlands. 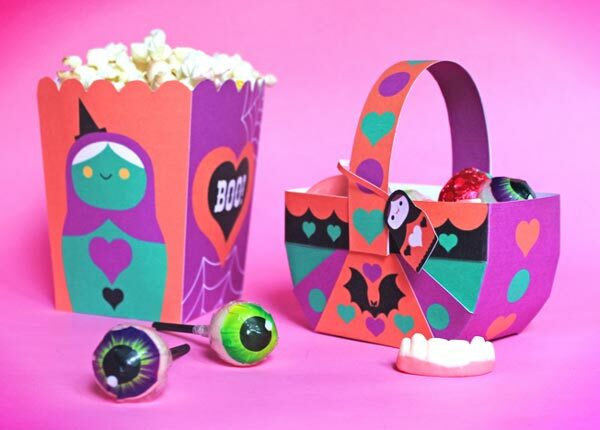 Popcorn boxes, baskets, Russian standing dolls and place card templates. 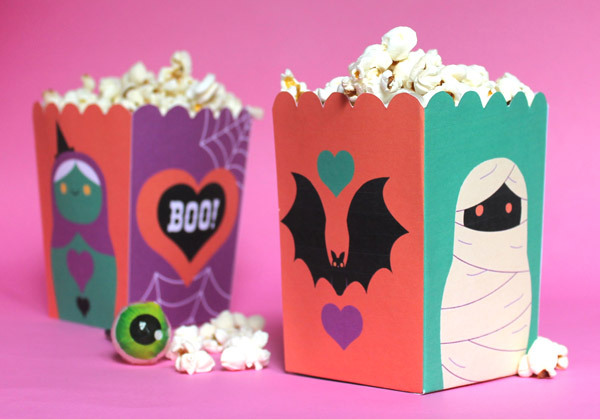 The pack is full of Halloween party printables. 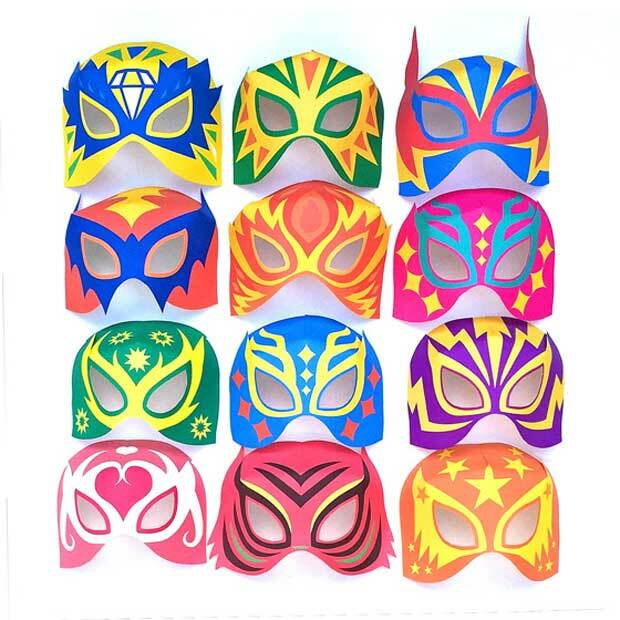 Ideal as fun activities, party ideas, favours or decorations for birthdays. Celebrations for the classroom or home school. Ideal for rainy day activities. 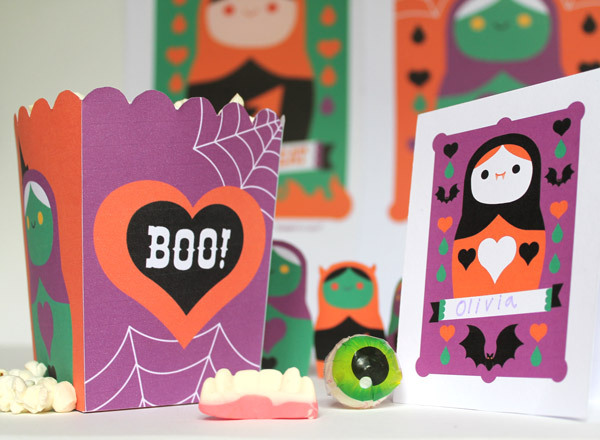 Halloween printable decorations and invites! 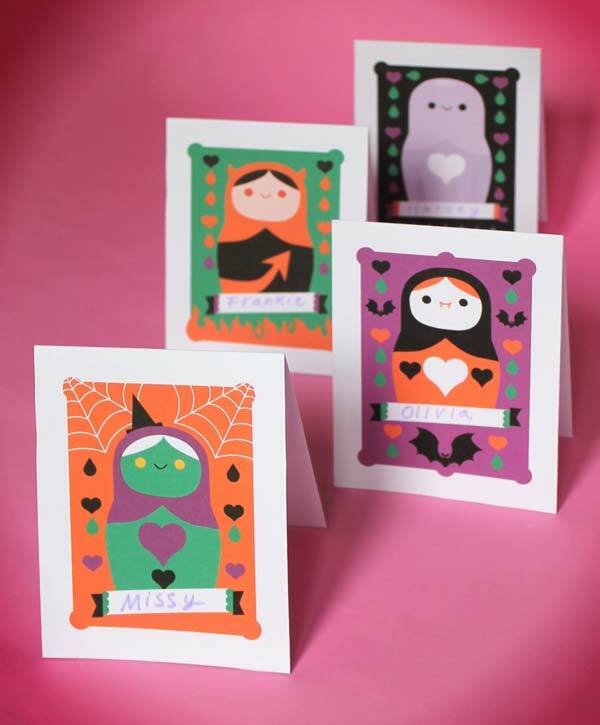 Print and make this cute Halloween Matryoshka doll party pack for your Halloween celebrations! 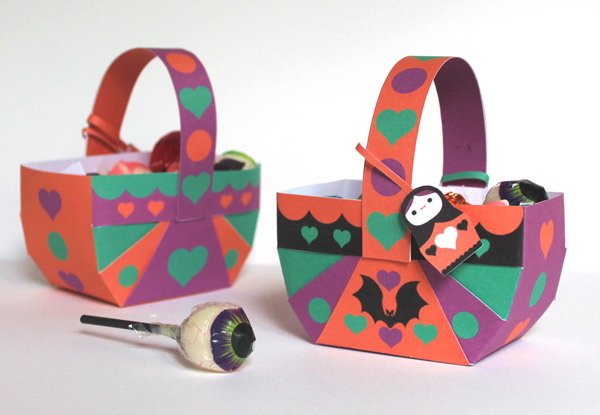 Spooky Halloween goody bags for your guests to take home. 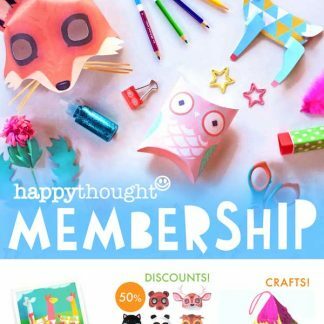 Printable invite templates, patterns and cutouts! 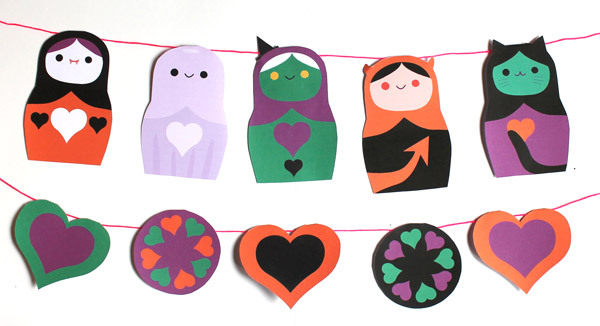 Halloween garland inspired by Russian nesting dolls! 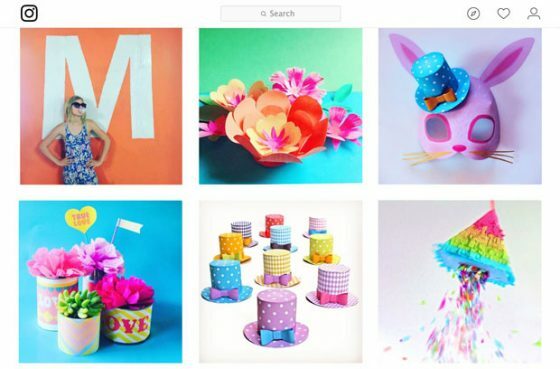 Paper basket: Craft activities, templates and tutorials! All the above templates include an instruction sheet. 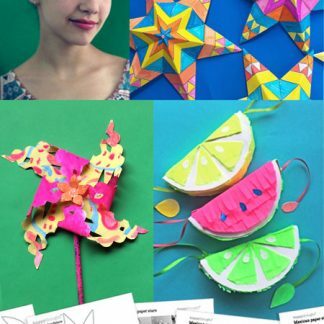 Step-by-step photos & illustrations on how to assemble each party favour. Our digital templates are designed to be easy to make. We like it simple too! 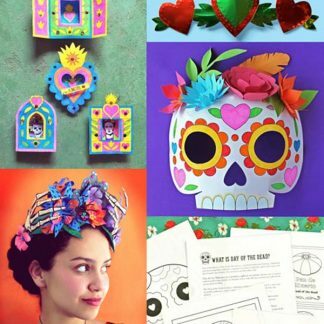 You might also like our cute Haunting Halloween printables and Russian doll Day of the Dead garland. 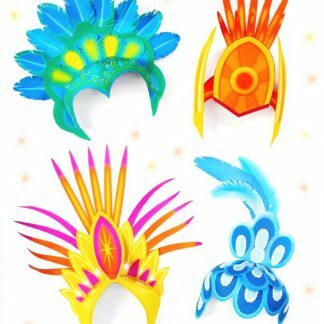 Hope you liked our printable party templates for a Halloween Holiday party. 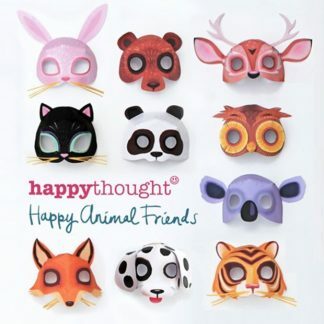 Please give us a little love; by liking us on facebook, pinning us on pinterest or following us on twitter. Thank you!